For quick reference, I’m not going to talk about their sizes. Unless you have some kind of vision-disorder (pardon me if this statement irritates you ^^), it is clear that Nendoroid Petits are smaller than normal Nendoroids. Technically, Nendoroid Petit is about 6 cm tall, while normal Nendoroid’s height is about 11 cm. Well, every part of her body is pretty much detachable. 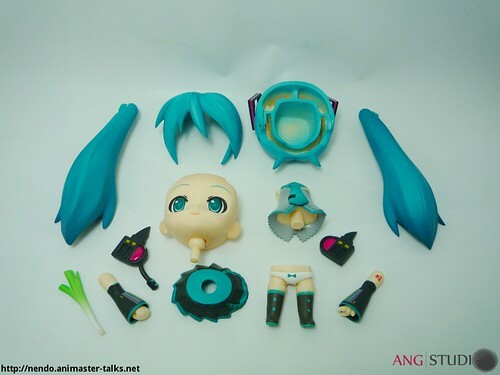 Uh … and I missed something here: both of normal Miku’s legs and her palms are also detachable. 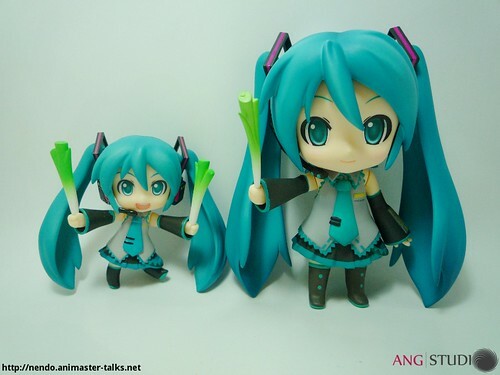 ^^; OK, now let’s compare it to Petit Miku. Quite surprising, eh? 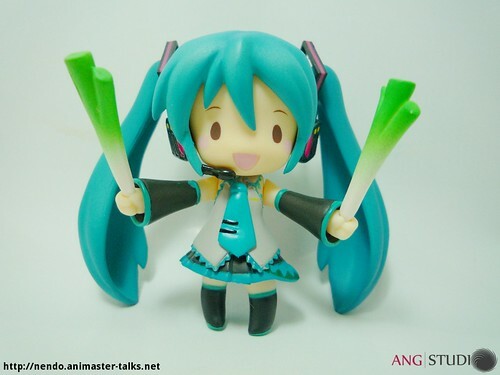 In fact, her detachability is almost the same as normal Miku. The only undetachable components are her headsets and her right leg. IMHO normal Nendoroids only have slight advantage in term of detail level compared to the Petits. So … can we interchange Petits’ body parts with another Petits? For most Petits, the answer is YES, but note that there are a few Petits who have unique heads that cannot be attached to other face plates. Well, you can start fantasizing on some crazy funny Petits cross-exchange (hint, hint). This section will cover about Petits’ movement flexibility. This is where Petits have to admit their “defeat” to normal Nendoroids. OK, although normal Nendoroids have limited articulation, Petits are even worse. Generally their hands can be moved, but their legs have little to no articulation. Yep, for most Petits, you cannot move their legs at all. 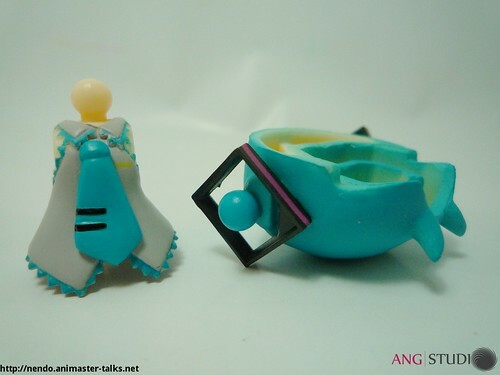 Aside from their articulation, Petits also have different joint as compared to the normal Nendoroids. Normally, Petits’ joints are unipolar, while the normal Nendoroids have bipolar joints. 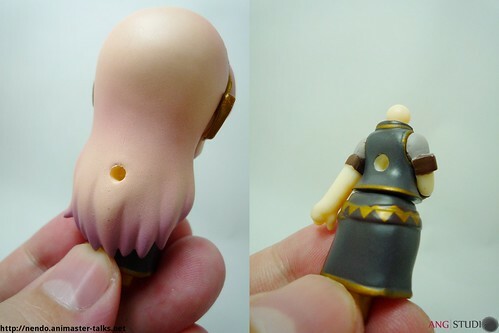 Most Petits have only one hole on their backs/hairs, but that doesn’t apply to Petit Luka. 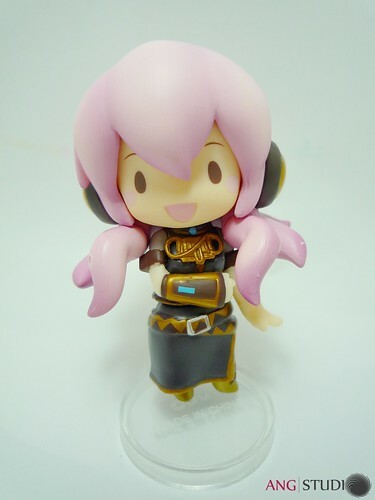 If you recall my review about Nendoroid Megurine Luka, I wrote about how I attach Tako-Luka to Petit Luka’s body. Is it merely a usual head cross-exchange? 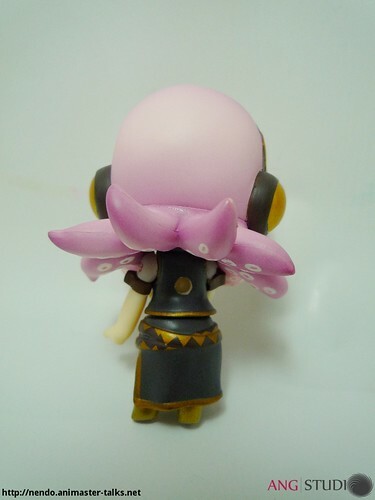 I don’t think so, because I found 2 stand holes on Petit Luka’s body: her hair and back (after her head is removed). Petit Luka is possessed by Tako-Luka! 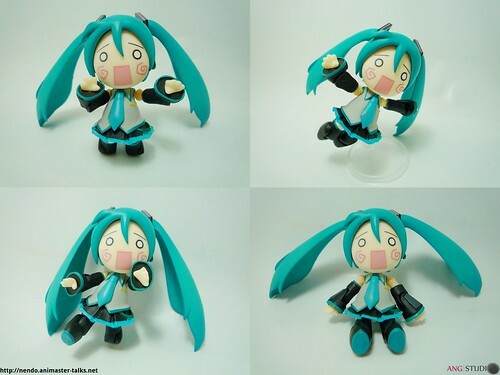 Petits articulation law doesn’t apply to Petit Hachune Miku. Being included as a special (hidden?) Petit inside the Petit Vocaloid set #1, Petit Hachune Miku really surprises me, especially for her articulation. Beside her heads and twin tails, we can also move her arms, elbow, legs, and knees. Wow! Portable – Petits are about half the size of normal Nendoroids. It fits perfectly in our pocket, so we can easily carry them anywhere without any hassle. 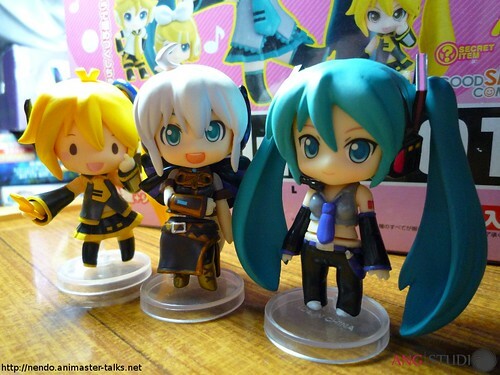 This entry was posted in Insight and tagged hatsune miku, megurine luka, nendoroid, petit, puchi, vocaloid. Cute, cheap, and portable … irresistable indeed. well..nice review…btw What is Nendoroid Petit? …it is a venomous invertebrate!!! coz it hasn't got backbones n it can be easily sucked away your money. well it's a very dangerous creature in our solar system. Really Useful! 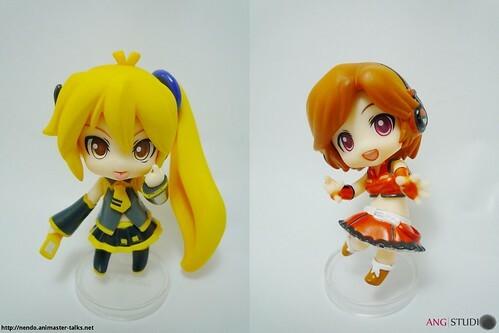 this convinced me to go for Nendoroid petites instead of the big ones for starting in the Nendoroid world! I lov the idea of taking one enywhere, they seem to be sooo tiny! Waw waw… what a nice information u have here..
thanx! i’m new to nendoroid & stuff, and just bought my first K-On Nendo (Normal size) yesterday. and with this info…. *very poisonous! * i wanna buy the petit one. Mo nanya dong, kalo mo beli dari goodsmile itu gimana ya? Pernah beli disana? Anyway, pre-ordering from Good Smile Online Shop will require you to have a PayPal account (preferably tied into a credit card account), since the payment will be done via PayPal. The shipping cost is 2000JPY to any countries (including Indonesia), and it may contain 3-5 products in a combined shipping. Wow. Your review on puchis is really great and useful. I was always wondering the essense of buying puchis and haven’t came to this state of awareness before. Many thanks to you! Umm, could you help me with released puchi list? Which one is the best to won first in your opinion? Those pages are officially generated by Good Smile Company. wow! thanks… it’s a big help. well… could you tell me how much money it costs to buy the original petit if I buy it in Indoensia ? Reblogged this on Life is too Short to be Unhappy. Fantastic post! I own a Yowane Haku petit and till this day I had no idea her head/face plate/hair could be removed! Thought it was a thing for newer petits when I saw people selling tiny parts.